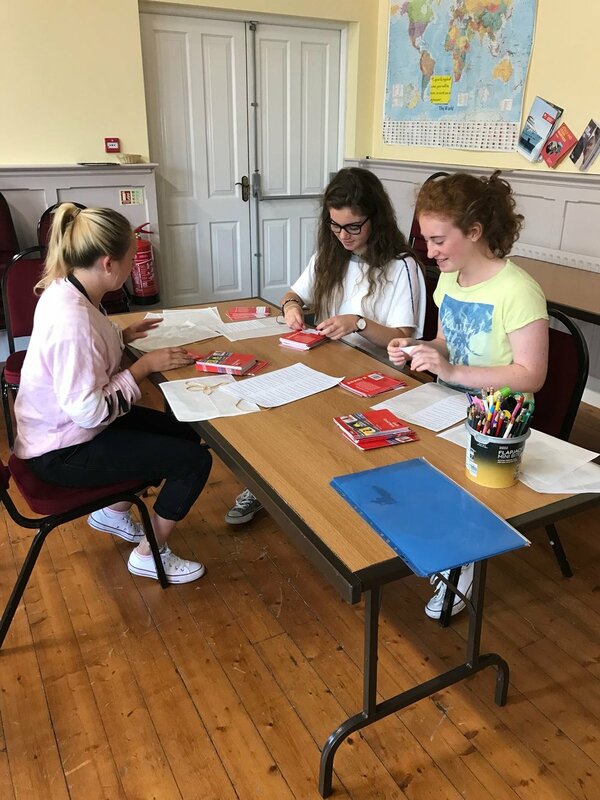 This year’s team to Newry consists of 17 members. 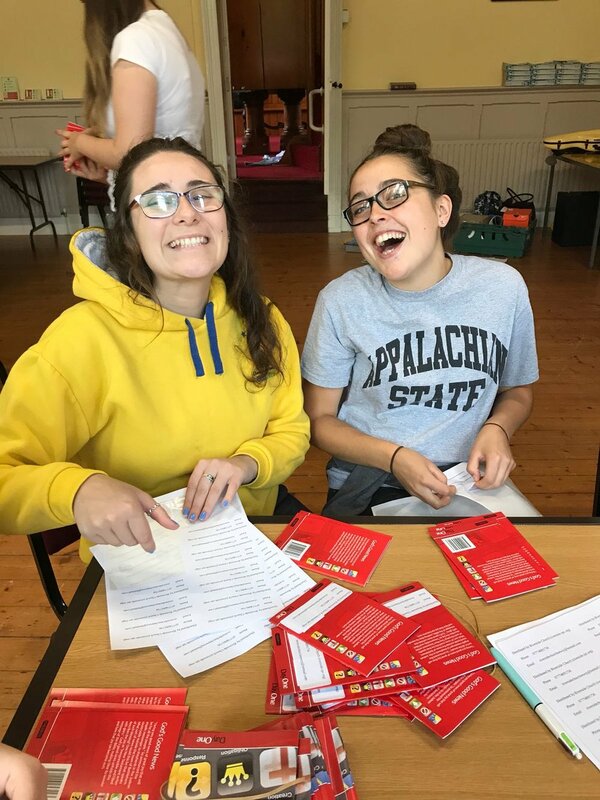 They are Sarah Moorcroft, Anna Murphy, Deborah Alexander, Eleanor Alexander, Jamie Stewart, Joshua Murphy, Nathan Nelson, Jess Muir, James Heggarty, Emily Robertson, Reuben Agnew, Tabitha Agnew, Benjamin Agnew, Kayley Curtis, Franck Bleijenberg, Jacob Matthess and Faith Moore. Today began with worship on Psalm 51 which was led by Benjamin Agnew. 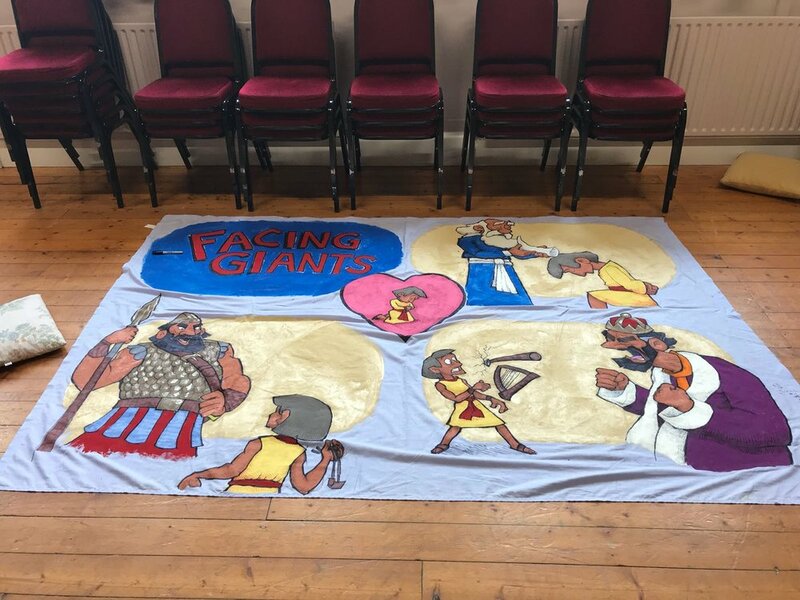 After morning worship we began preparations for the holiday Bible club, the theme this year is ‘Facing Giants’. We had lunch and then after lunch we went into the local community and distributed booklets called, ‘God’s good news’. Following distribution we continued our discussion on Genesis ch 1-3 and had a time of prayer. 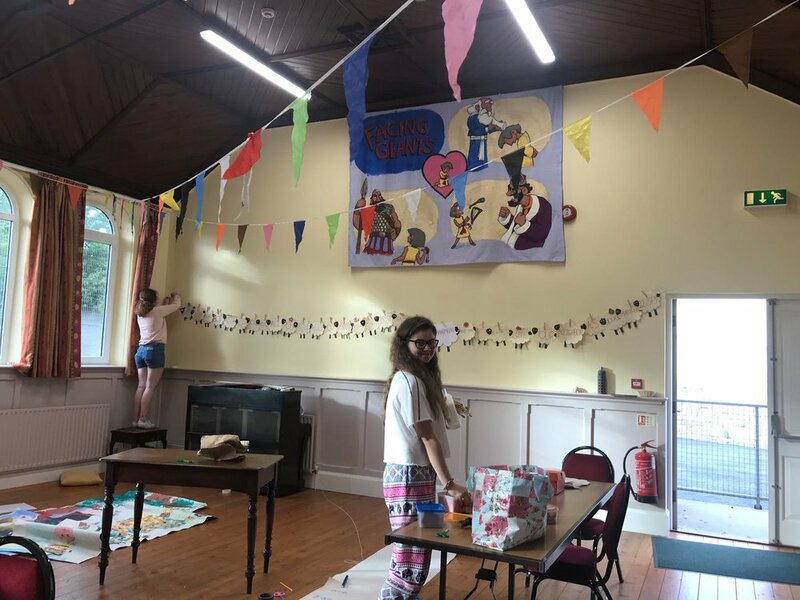 Then we had dinner and continued our preparations for holiday Bible club after which we headed back to the Murphy house for a relaxed evening of games and chat.